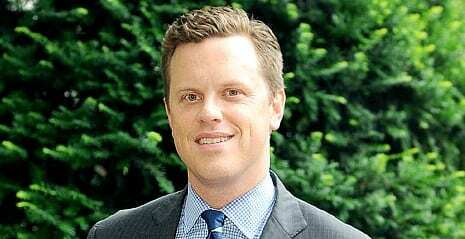 NBC’s “Today” show on Wednesday welcomed Willie Geist, the MSNBC newsman and occasional comedian, as the new co-host of its 9 a.m. hour. The network confirmed that Mr. Geist would become a permanent presence on “Today,” where he has regularly filled in for Matt Lauer this year. His impending appointment was first reported last month. “Way Too Early,” which was conceived by Mr. Geist three years ago, will continue, but with a new host. He or she has not been chosen. Mr. Geist’s appointment on “Today” will begin Nov. 12, the Monday after the presidential election. He will replace Savannah Guthrie, the previous 9 a.m. host, who was promoted to co-host the flagship 7-to-9 a.m. hours earlier this year after NBC removed Ann Curry from the position. Mr. Geist’s transition is intended to be a smooth one, unlike Ms. Curry’s. He appeared on the show on Wednesday morning to talk about his promotion, and he’ll continue to show up in advance of the appointment date. “I do expect there will be some Halloween hazing, although they won’t tell me what it is yet,” he said in the interview, referring to the show’s annual Halloween costume episode. This entry was posted on November 1st 2012 at 4:01pm/16:01 and is filed under Live News Column 1, Live News Column 2, Politics. You can follow any responses to this entry through the RSS 2.0 feed.